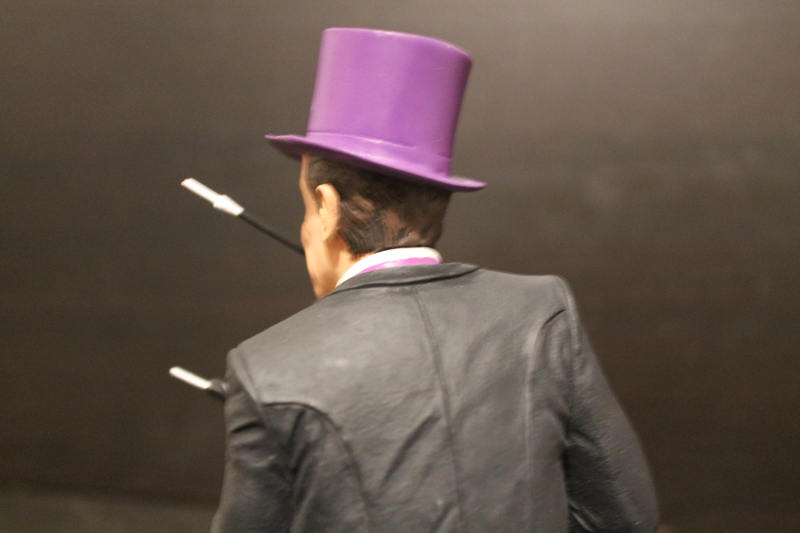 There’s some “fowl” play afoot in Gotham City, and it can only be the result of one villain– the Penguin! 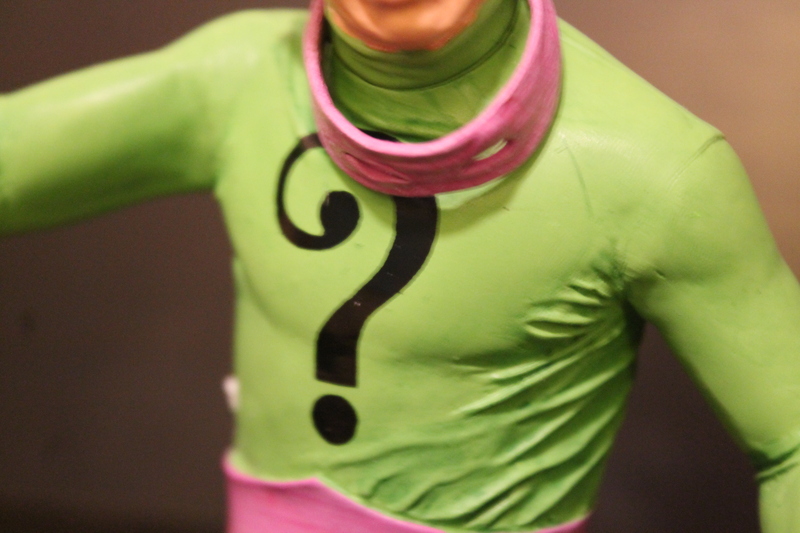 That’s right, folks– inspired by Burgess Meredith’s iconic turn in the role, Diamond Select Toys has added the Penguin to their Batman Classic TV Series bust lineup! 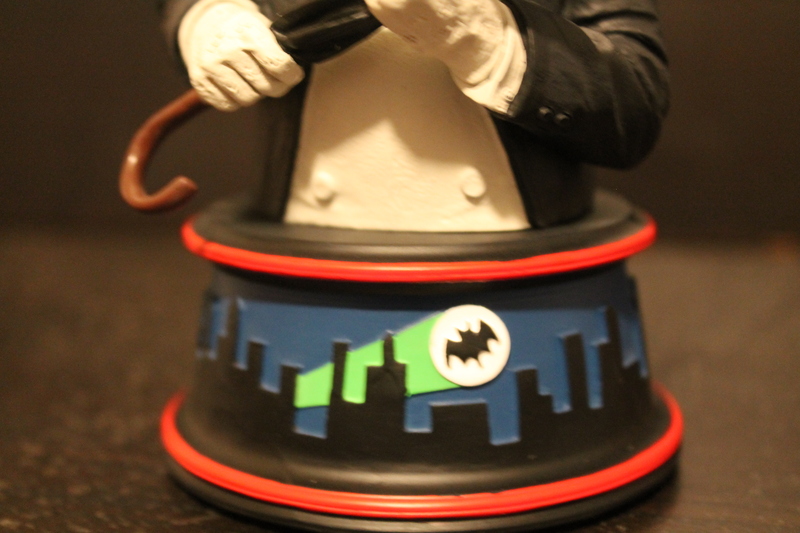 The latest in DST’s line of Batman Classic TV Series busts, the Penguin has never looked better! Designed by Barry Bradfield and sculpted by Jean St. Jean, this detailed 6-inch resin bust is not one to miss! 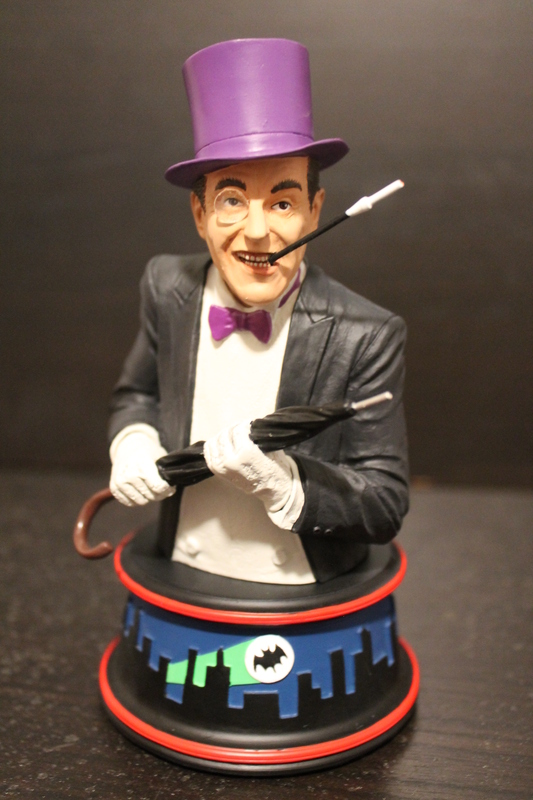 From his bright purple bow tie and top hat to his elegant white gloves and deadly umbrella, there is no detail of the Penguin’s classic appearance left out of this bust. 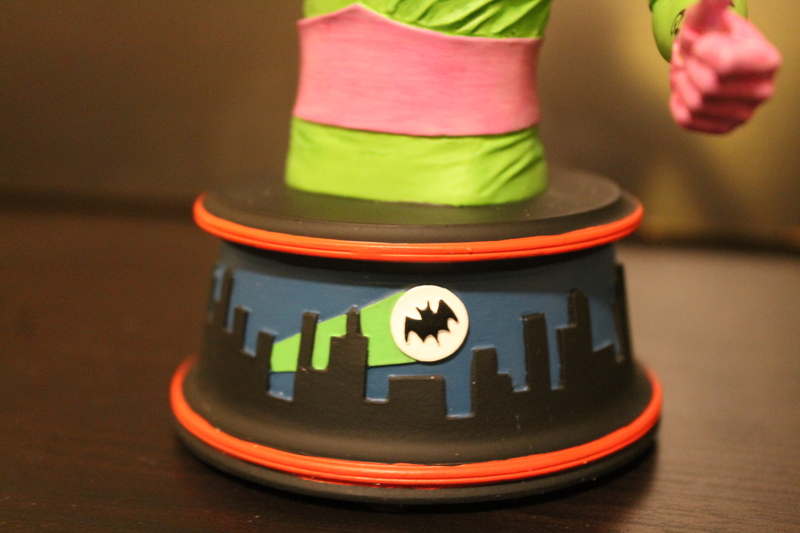 Continuing in the tradition of the Batman, Robin, Joker, and Riddler busts is the Gotham skyline base– and no skyline of Gotham is complete without the Bat-signal (no doubt to alert the Caped Crusader to this avian adversary’s latest crime)! 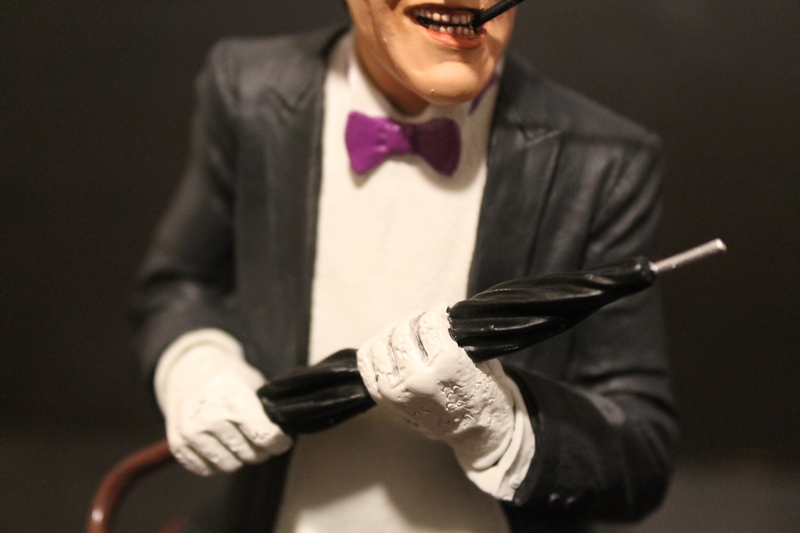 The great attention to detail on this figure can be seen on the back of the Penguin’s suit as well, where every stitch, wrinkle, and fold is dutifully re-created– down to the bow tie peeking out from behind his collar! 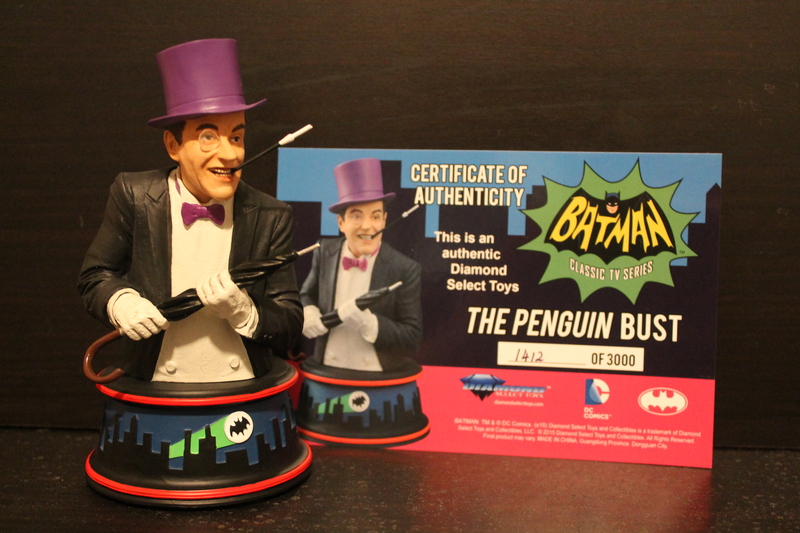 Also similar to the previous entries in the collection, the Penguin bust is part of a numbered limited edition of 3000, with the specific number out of 3000 printed on each collectible’s base, box, and on an enclosed certificate of authenticity. 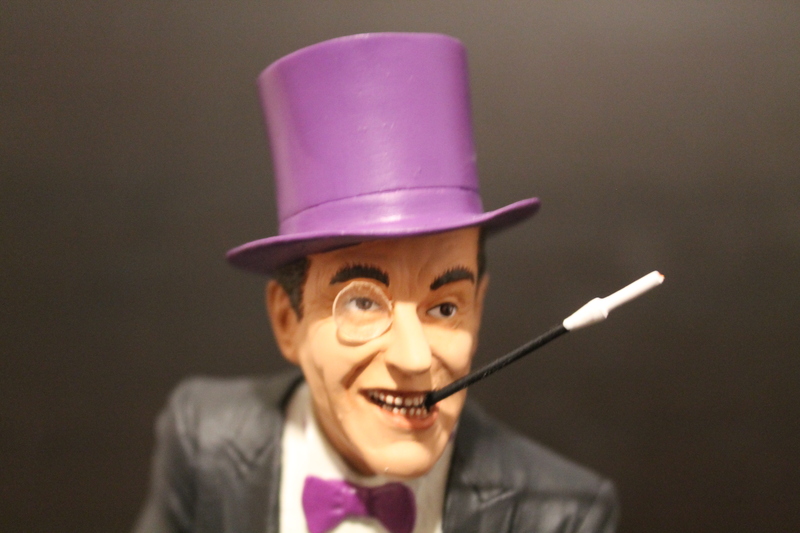 The Classic TV Series Penguin Bust, available now for a retail price of $60, is a fantastic addition to any collector’s ranks, particularly if you’ve been keeping up with Diamond’s wonderful Batman Classic TV Series busts! You won’t want to miss what’s coming up in this ongoing collection, including Catwoman, Mr. 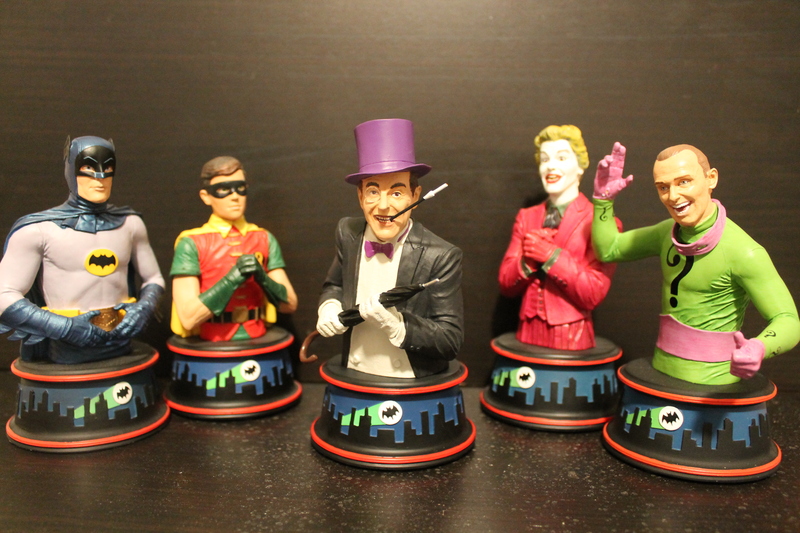 Freeze, Batgirl, Egghead, and Batusi Batman! 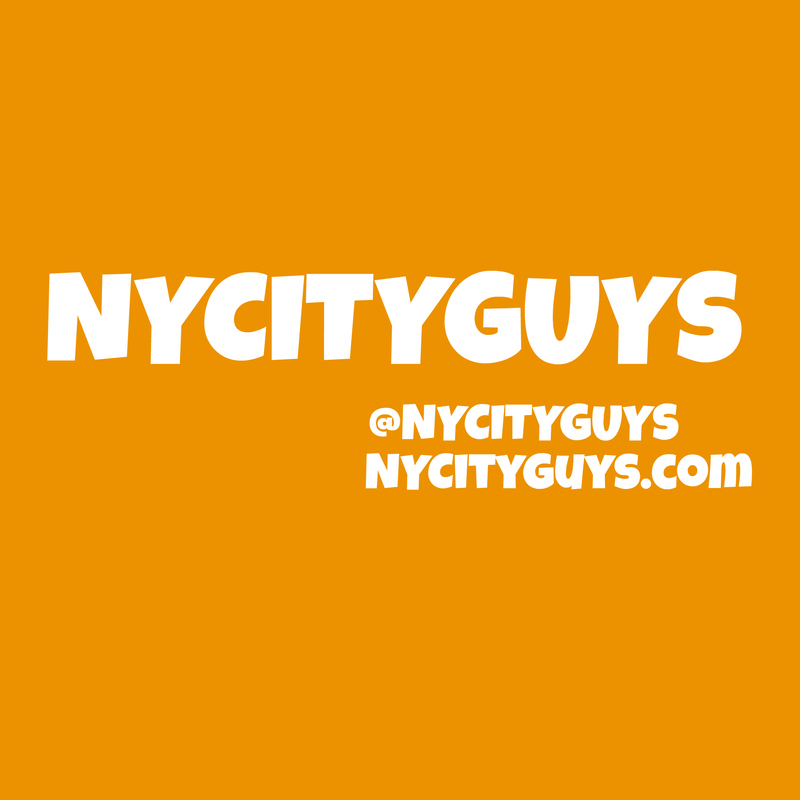 ← Own A Piece of “Gotham” With DC Collectibles’ GCPD Badge Replica!